Principal component analysis (PCA) is a statistical technique to identify the dependency structure of multivariate stochastic observations. PCA is frequently used in data mining applications. This paper considers PCA in the context of the emerging network-based computing environments. It offers a technique to perform PCA from distributed and heterogeneous data sets with relatively small communication overhead. The technique is evaluated against different data sets, including a data set for a web mining application. 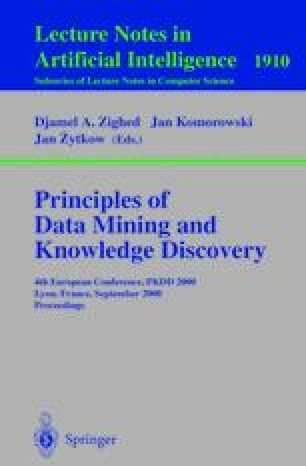 This approach is likely to facilitate the development of distributed clustering, associative link analysis, and other heterogeneous data mining applications that frequently use PCA.